Will Press-on Veneers Be a Good Option for Me? I have stained teeth and a chip on a very front tooth. My smile has always embarrassed me. A friend recently got porcelain veneers and her smile is stunning. I was going to do that myself until she told me the price tag. I just can’t afford that. I saw an advertisement for Press-on Veneers. They’re about $1000, which I could afford. However, I don’t want to spend that much money if it won’t give me a comparatively beautiful smile. What do you think? Is it a good option? 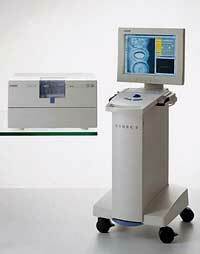 I’m about to save you a lot of money AND give you an improved and pretty smile. First, don’t get the Press-on Veneers. It’s not what you’re after. 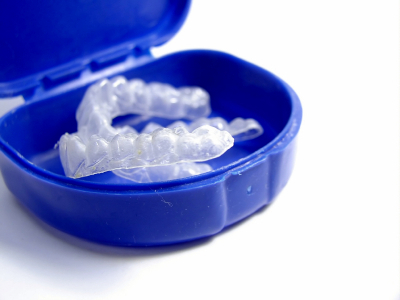 They’re not permanently placed and more just fit over your teeth. Additionally, they’re not made of the same material and will look fake to people you’re having a conversation with. They’ll also be bulky. To the credit of the site who sells them, they’re very open about these issues so customers know what they’re getting into. So what good are they? 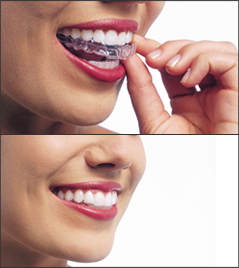 They’re a quick cheap solution if you’re having a photo shoot and want a prettier smile. Other than that, I’d look for better cosmetic options. 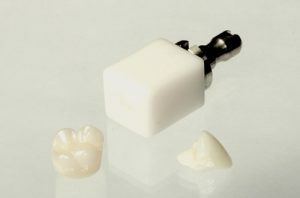 Porcelain veneers are the top of the line treatment for a smile makeover. They can change everything about your smile— the shape, size, color, and character. As you noted, they’re also the most expensive of your options. However, I think you can get a smile you’re proud of for less than half the cost of the Press-on Veneers with the additional benefit of being permanent instead of removable. You mentioned your teeth are stained and chipped. First, get your teeth whitened. This is a very affordable procedure that can be done either at the comfort of your own home or in one appointment in-office. 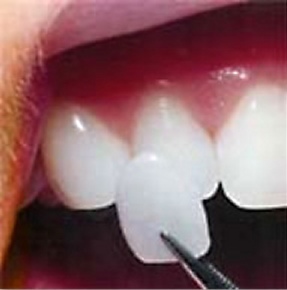 After the whitening, a dental bonding can be done to repair your chipped tooth. While any dentist can do the teeth whitening. Dental bonding is done free-hand and requires a skilled and artistic cosmetic dentist. I’d look on the mynewsmile.com website to see who they recommend. The site is very reliable. They will only recommend skilled cosmetic dentists. This blog is brought to you by Dr. Mike Malone, an AACD accredited Dentist.